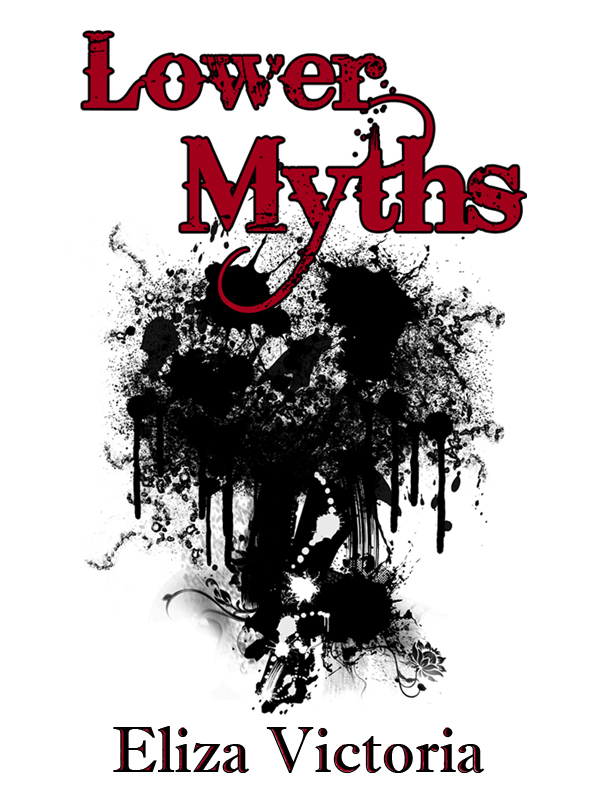 I am proud and happy to announce that my two-novelette collection, Lower Myths, which won in the 2009 Pinoy Story Writing Contest for the Horror & Crime/Suspense category, will (very) soon be published as an ebook by Flipreads under Flipside Publishing Services. Many thanks to Flipside VP and General Manager Honey de Peralta for approaching me about the possibility of partnering with them, Acquisitions Editor Kristine Reynaldo and Online Marketing Specialist Charles Tan for their invaluable comments on the manuscript, and Production Editor Adam David and his team for their work on the beautiful cover and interior art. Let’s have some excerpts, shall we? “Why did you kill them, anyway?” Miguel asked. “Beatrice,” Isaiah said. Beatrice glanced at Miguel, who quickly pocketed the gun. “We’ll be late. Now what are you two talking about?” Isaiah placed his arm around Miguel’s shoulders and shook him lightly. Beatrice looked at him and smirked. Arkimedes’ voice, which was at full force the moment he opened his mouth, started to fade as he looked from the top of young Madame Goldenbar’s head to the tips of her black boots. Suddenly a hand slithered in between Aristotel’s left shoulder and Arkimedes’ right, carrying a tray filled with glasses of champagne. You can wait for the book on Flipreads’ official website and other downloading platforms like Amazon and the Apple iBookstore, or simply wait for further announcements here. A lot of people have been asking me why I haven’t published my stories yet in one anthology so let me say here that yes, I am also coming out with a short story collection (in print, via another publisher). Stay tuned for more details. This entry was posted in flipreads, links, lower myths, plug, writing. Bookmark the permalink. Amazon!!! If I buy from Flipreads, can I read it on my Kindle? Yay :) Ang bongga mo na, congrats! The books we sell at Flipreads are ePub, so you can’t read them on the Kindle, but we’ll also be making it available on Amazon. Thanks for the reply! Forgot that Kindle uses .mobi. WOW di ka na ma-reach! Hahaha just kidding. Congrats, am so happy for you!!! At excited kaming basahin ang book mo sa future bookswap hahahaha :) Pipila na ko dun, pwede ba? hihi :) Pwede ka din bang interviewhin for booklat? Serious! Ayyyy scared! Pero game sa interview. :) Thanks Andrea!